Beautiful nails and soft legs! Once upon a time my nails were perfectly polished everyday. My mom owned the best nail salon in town (I may be a bit biased, but I’m fairly sure this is a fact.) So growing up, I generally kept a beautiful gel manicure. It was glorious. Then, my parents moved to Birmingham, mom closed up shop, and my nails have been a chipped mess every since. I know, I know. I could just go down and find an awesome lady to do my nails, but really that doesn’t fit into my budget or schedule. So that is usually saved for special times of the year. 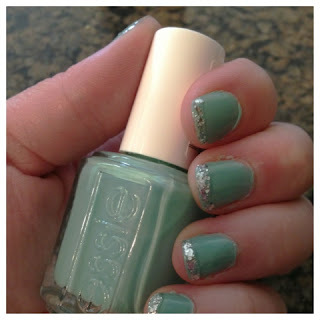 Then one day, while browsing pinterest I found this pin that claimed a DIY gel nail. 1) Apply two thin layers of the Gelous Nail Gel to your nails, allowing a couple minutes in between to dry a little bit. After applying your second coat, allow the gel to set. I waited about 3 minutes. 3) Apply another layer of Gelous Nail Gel on top of your nail color and allow it to set for about 2 minutes so that it’s semi-dry. Make sure that the ends of your nails are sealed by swiping the brush over top. This will ensure you won’t see a single chip for the entire duration of your gel manicure. 4) Apply a second layer of nail color. 5) Finish it off with your choice of top coat. Stick with a fast drying top coat with high shine for the best results. I am not gentle with my nails at all. I chase two kids. I’m constantly scrubbing and cleaning something and this held up. It took a while for me, but like I said mom always polished my nails growing up, so I feel about as coordinated as a two year old. Polishing my left hand is no problem, the right hand however is a completely different story. Anyway this lasted perfectly on me for 1 1/2 weeks. Then I had just a few tiny chips which probably could have been alleviated if I had sealed the edges of my nails better. So give it a try! Here is my most recent finished manicure. During the summer, it seems like I am always shaving my legs. So, I saw this on Pinterest and thought I would give it a try too. 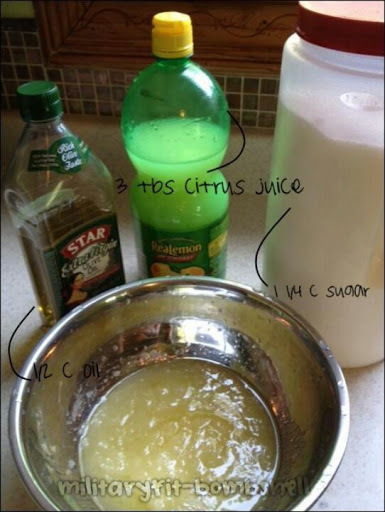 Mix 1/2 C oil, 3 tbs citrus juice and 1 1/4 C sugar. Rub it on your legs, shave then rinse your legs. Then do it again – rub, shave, rinse. Wash your legs with soap to get some of the oil off. Think of this as shaving, exfoliating and moisturizing all in one. My legs stayed SO SOFT for a long time. I loved this pin!